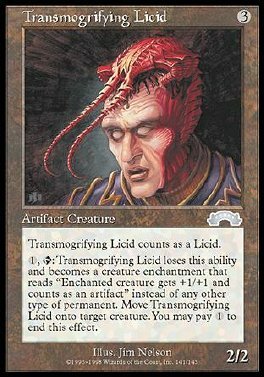 1, T Transmogrifying Licid loses this ability and becomes an Aura enchantment with enchant creature. Attach it to target creature. You may pay 1 to end this effect. Enchanted creature gets +1/+1 and is an artifact in addition to its other types.